Had an amazing meal! Food was delicious! The staff was so nice too! The owner checked up on us several times to make sure we were doing good with all of our courses! Try the dahi puri and gobi app!! Food is good & portions are big. Owner & staff is warm & welcoming. I came with a Gilt City deal and thought the offering was really generous. Not sure I would feel the same if I had paid full price. new instant neighborhood fave! the food is delicious, best indian i've ever had in manhattan. 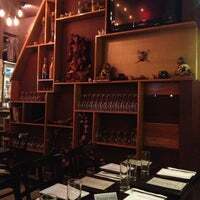 so glad to finally have a fantastic indian restaurant on the les. 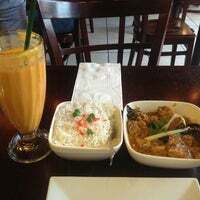 Amazing food, ESP the Manchurian cauliflower, mango lassi, shrimp dish, fish curry and many more. Friendly and attentive staff. Will definitely return! The whole experience was really satisfying. The place is small but packed most of the evenings. The service was excellent (owner was super courteous) and the food was absolutely delicious.Coming back! 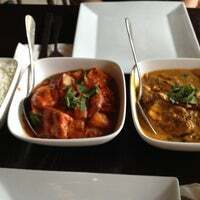 My favorites are the shahi korma and paneer saagwala. 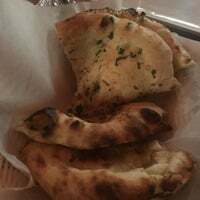 Garlic naan is always a nice addition too. But really, you can't go wrong with anything here. The Lamb biryani stole the show. Amazing blend of spices and flavor. 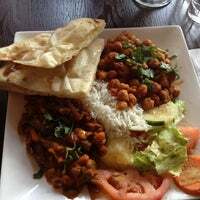 There is no brunch nonsense here, so come anytime to enjoy some good Indian food. The BEST Indian food I have ever had! I'm especially a fan of the black lentils, chana masala, and mango lassi. Plus the service is great! 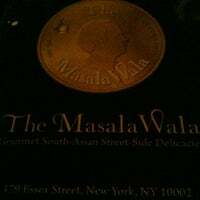 Best India food so far in Manhattan! Definitely ask the waiters for recommendations if you can't decide what to get. Chicken 65 is the one dish you can't miss! The vindaloo is so good! But very spicy -- be sure to order some mango chutney and raita with it (it'll be more delicious overall too). 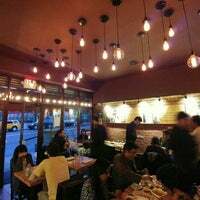 The staff is very friendly, and the food is great! Be warned that if you want your curries they can come pretty hot, totally worth it! Pani Puri chaat, Aloo Gobi, & Dal Tadka were all so flavorful and delicious (and vegan). Can’t wait to back to try more dishes! Excellent food with a nice balance of spices. Bonus: THE Masala Wala himself is sometimes there and love to interact with patrons. It's places like this that reminds me why I wouldn't want to move out of NYC. The cheese chili naan (it's vegetarian) is so simple, I don't know how it's not more available. A must-try! 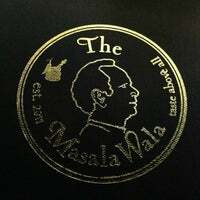 The owner, the Masala wala, is such a wonderful fella. So friendly. And the food was delicious. 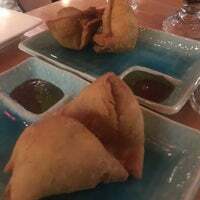 Try the samosa chaat. A tribute to South Asian street food--with really good chai. 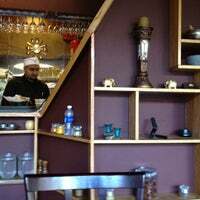 The owner and staff are extremely polite and friendly. He gave myself and another waiting customer samples of the Mango Lassi, which were delicious! Malai Kofta and Chicken tikka masala are awesome. One of the best I've had. The spicy salmon masala was amazing! The owner stayed open an extra hour for us to eat! Very hospitable. Great service! I love the samosa chaat! And get the masala chai. Lamb rolls are awesome. 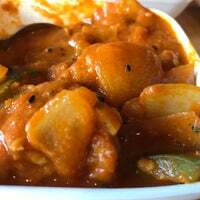 All the curries I've tried were fantastic. The owner is the friendliest guy! Manchurian Cauliflower, Aloo Chaat, Indian Milk Tea and anything Lamb. Skip the Biryanis though, they pale in comparison to everything else. 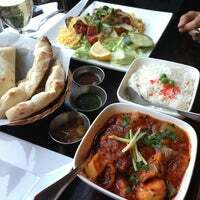 Fantastic Indian food. Try the Gobi Manchurian appetizer - never thought cauliflower could taste so good! I'm an English guy who eats a lot of Indian food. This is the best I've ever eaten. Absolutely amazing. 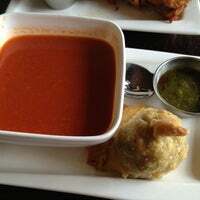 The poori and the malai kofta are amazing. Good eat that malai kofta sauce everyday. Very solid straightforward Indian food. Love the spicy naan. Curries, vindaloos, all excellent. 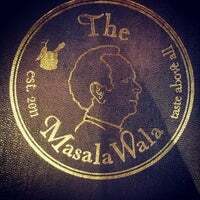 Fantastically spicy and wonderful service from the Masalwala himself. Vegetarian friendly but I'll say it again, next-level spicy. Aloo gobi and garlic naan are really good, though that's a pity they don't cook a cheese garlic one. 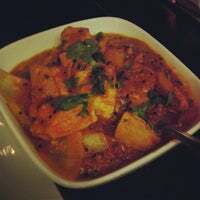 The navratan (vegetarian) korma is not on the menu, but it can be ordered and it's good. Nicest employees and owner ever! Got free desert because the owner was so flattered that we cleared our plates. Great for lunch, dahi puri was on point. Extremely reasonable prices. Great service! Food was delicious and try the homemade ice cream! The Gobi manchurian is fantastic! Great service from the Masalawala himself. Great chaat selection! 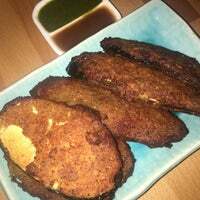 The MasalaWala is a chic South-Asian spot offering rare street-side delicacies like Chaat, Pani-Puri etc. while boasting traditional items like Tikka Masala, Jalfrezi, and Tandoor (Clay Oven) Specialties like Kebabs. Intimate setting with free Wi-Fi and voted "best Chai in the City"! "The food is delicious. Great place for seafood lovers. Got the spicy calamari and salmon and it was really good! Portions are big!" "The lunch special is affordable and delicious. They can also make most of the food vegan or gluten free." "O sabor de caramelo salgado é o melhor!" "Bem legal o show que curtimos!!! Com cerveja gelada!!!!" "Estádio 100% organizado, infraestrutura realmente de primeiro mundo. Todos muito educados. Imperdível."